FSMA and the Safe Food for Canadians Act (SFCA) are taking food industry traceability regulations to new heights. Is your company prepared to keep up and comply with them? Here, Saqib Javaid, director of quality management systems at NutraBlend Foods, answers my questions about the future of the food regulatory landscape regarding traceability, the driving force behind those regulations, and how to prepare to for and comply with traceability program requirements. Javaid will be speaking at the upcoming 8th Annual Food Regulatory & Quality Assurance Summit held October 18-19, 2017 in Toronto, ON. Food Online: What do you think will be the top regulatory issues in food manufacturing over the next few years? Javaid: I would say food safety is going to be, at all times, the most important issue for food items where traceability is a major factor linked to keeping those items safe. I believe suppliers and raw materials, especially of international origin approval programs, are going to be well taken, much talked about, and closely monitored by the FDA in the U.S. and the CFIA in Canada. I also believe that traceability and/or originality of raw materials used in the finished products are going to be one of the fundamental challenges. 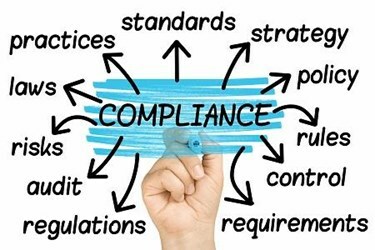 Companies will have to be on the fast track in developing and implementing FSMA plans in the U.S. and Safe Foods for Canadian Act in Canada to comply with food safety and traceability issues. Furthermore, with the ever-evolving technologies, it would be a challenging, yet advantageous, task for the regulatory crews to use available programs and websites (i.e. e-commerce) to keep the traceability of each item sold or bought online. After the issues of food safety and traceability, I would say sustainability and clean labeling of products with of natural and green origin containing more functionality will be something to keep a close eye on. Food Online: What do you see as the driving force behind more and increasingly-stringent traceability regulations? What has the tone been from the industry as it responds to them? Javaid: In my opinion, the major driving forces behind rigorous traceability regulations are food frauds, adulteration, fake food items or nutrients (i.e. horse meat mixed into beef), non-protein nitrogen (NPN) items posing as real proteins, melamine issues, mislabeling, and ever-increasing recalls. There are also health, cost, and food safety issues related to these recalls. The tone from the industry is very positive, in my view. The majority of industry people I know are willing to comply with these tough traceability regulations because no one likes recalls or being a victim of fraud. Most brand owners, product producers, and processors would like to make sure they have a sustainable business. To increase the level of sustainability, I think good, and near, perfect traceability practices are key. Food Online: What are industry leaders doing to stay ahead of the regulatory curve regarding traceability? What can smaller companies do to not fall behind? Javaid: As I said earlier, companies have to be on the fast track with developing and implementing traceability initiatives, as well as suppliers’ and raw material approval programs. 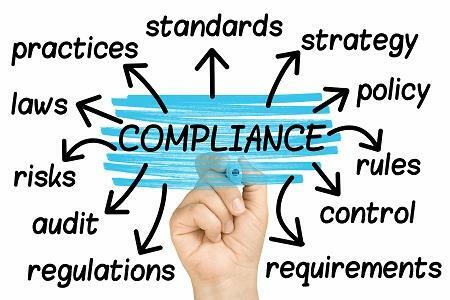 Truth be told, it’s not incredibly difficult to develop a FSMA or Safe Foods for Canadian Act compliance programs for big or small companies. It only requires some dedication and determination. Once your good traceability program is in place, there will be one less thing to worry about. All you have to do is to go one step back and watch your one step forward, which allows you to keep your traceability on good track. Food Online: Starting from scratch, how would you assemble a robust traceability program? Javaid: It is not only the traceability program you need to worry about; you will have to develop your full package, which I would like to call a Quality Management System (QMS), and traceability should be part of it. To develop a good QMS, all you need is to develop a good risk or hazard analysis, develop preventive and corrective control points, implement monitoring and validation controls, and review your plans at least once every three years. You can review them more frequently if needed. Regarding traceability, I’ve started with the incoming raw material and the documentation that comes with it, which I call “catch it” at the gate before it enters the facility. For this, we have developed a robust suppliers and raw material approval program where suppliers will have to give out their information such as name, full address, the phone number of the raw material manufacturing (not the distributor) plant, plus the complete source of the raw material if it is an extract or processed. For example, is it a dairy product? We must know the source. Was it bovine? Goat? Camel? We need to know the source. Companies that are rushing to find the cost-effective raw material should make sure the low-cost source of raw material does not come with additional baggage that could result in problems. Make sure the raw material is coming from a reputable supplier who has all the required registrations and certifications and this supplier is standing by their supplied material throughout the life of your finished product. Food Online: Outside of regulatory compliance, what benefits does a good traceability program provide? Javaid: Traceability programs can save money and can save your company from food fraud — ensuring the product you buy from a supplier is 100 percent genuine and what you expect to receive. For instance, if you want to buy a beef product, your traceability program can ensure you’re buying what you’re paying for, and not beef mixed with horsemeat. Overall, the next a few years will be packed with actions of implementing FSMA and SFCA. We should anticipate that food safety and traceability are going to become more and more stringent, and this trend will continue y-wide risk. M. Saqib Javaid (a.k.a Saqib) is the Director of Quality Management Systems at NutraBlend Foods. He received his Master of Science from the University of Nebraska and a Bachelor of Science, with in honors, in both Food Science and Technology. He has additionally completed his HACCP, Food Safety, Shelf Life Determination, Sensory Evaluation, Nutrition Labeling, 21CFR111, FSMA for U.S. and Canada, Ingredients and Ingredients Functionality training programs from the various institutes in U.S. and Canada. He has completed his Food Defense Program from the FDA. His work history includes over 15 years of Research and Development, Regulatory and Quality Analysis in a wide array of food products and processes as well as experience with the most modern technologies that exist in the food manufacturing industry. In his current role Saqib is responsible for Quality Control, Food Safety, Regulatory, Lab Services and Product Development departments at NutraBlend Foods (A division of Grober Inc.) Cambridge, Ontario.